Work has changed. These days it’s less about location and more about what we accomplish. If you’re a small business, many of your employees may already be working from various locations outside the office and making their own choices about the time, tools and devices they use. If not, you may be quickly trying to respond and put guidelines in place to support these new work styles. At Citrix, we call this movement “workshifting.” You may also know it as telecommuting. In fact, this week, The Telework Exchange, a public-private partnership, is hosting Telework Week to encourage organizations and agencies to pledge to telework or workshift. Initiatives like this offer a great opportunity to rethink how we can best support new ways of working and enable ourselves as well as our teams to work effectively and productively anytime, anywhere. Citrix has long led the workshifting movement by example. Our company provides web-based tools that support work from any location and our management team has put processes in place that offer guidelines and tools so our employees can be successful. Our customers also serve as advocates, putting workshifting to the test with their teams and helping others make the shift. Here are a few tips to make flexible work an effective reality in your organization. Develop formal guidelines. Consider which roles within your organization are best suited to a flexible work schedule and develop criteria for eligibility, such as whether performance can be measured remotely, whether responsibilities depend on daily face-to-face interactions or whether employees are comfortable collaborating with co-workers and management using different technologies. Also consider whether employees are able to work in a self-directed capacity. Communicate how the program works. Be open within the organization about the program, how it works, who is eligible and why, and which roles may not be eligible (for example, due to the need to work with special equipment or meet with customers on site). Ensure that all employees recognize that workshifting is a privilege and not a right and that if their results are inconsistent, workshifting privileges may be suspended or revoked. Whenever you discuss workshifting, remind all employees to first check with their direct supervisor, manager or Human Resources contact before initiating any workshifting schedules. Agree on a schedule. Discuss what type of virtual schedule works best for the employee, department and company. 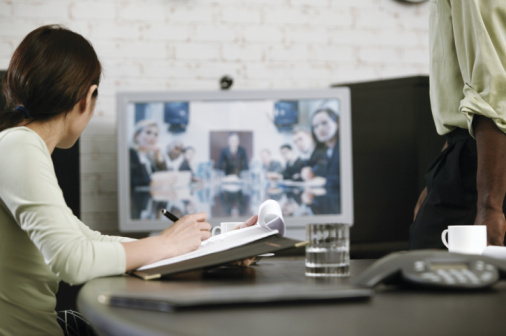 Establish a daily routine with remote workers to encourage engagement and collaboration. Agree on a schedule and establish a daily routine with remote workers in which they can expect to be called upon to answer questions or join a web meeting to discuss the status of projects. Set up the right workspace. Ensure employees are equipped with easy-to-use, effective and reliable technologies to work from any location. Work with your company to ensure employees have the opportunity to be trained on how to use mobile equipment or web-based systems. This will go a long way in ensuring the efficiency of new remote workers. Change the way you manage and become a better leader. Allowing flexible work means fewer opportunities to walk around the office and check in with employees. Setting clear, outcome-based goals, defining what needs to be done by whom and rewarding performance become more critical to your ability to manage people successfully. Training managers is as central a part of a workshifting program as training individual employees. Accessibility is everything. Added flexibility puts more importance on accessibility. Managers also need to make sure they are more accessible than ever. You might even want to designate virtual office hours to enable remote employees to ask questions, set up an impromptu brainstorm session or get clarification on assigned projects. Adopting a flexible work process requires leadership and commitment throughout your organization. With a sound strategy, the proper collaboration tools, and leadership commitment in place, you can deliver the flexibility and efficiency your employees desire. Lisa Reeves, VP and GM of Access and Cloud Services, oversees the access and cloud lines of business at Citrix. She is responsible for product development and marketing strategy for the company’s GoToMyPC remote access brand and other initiatives related to cloud computing. Citrix is transforming how businesses and IT work and people collaborate in the cloud era through its secure, easy-to-use cloud-based solutions that enable work from anywhere with anyone.